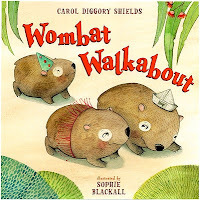 Well my intention was to find examples of good work by Sophie Blackall, just to be fair, but as Blackall herself knows, what we intend and what we achieve isn't always the same. And besides, when I scoured the Internet to find examples of her work that I liked, I discovered that she's made in-roads into the adult market in addition to the dread subway car art card, and it makes me feel much less charitable towards her. Ugh, Time Out New York, what were you thinking??? And looking at dozens of examples of her work does not put me into a good mood. I do like her drawings of animals more than people, as faint praise as that is, because she refrains from giving them pink circles for cheeks. 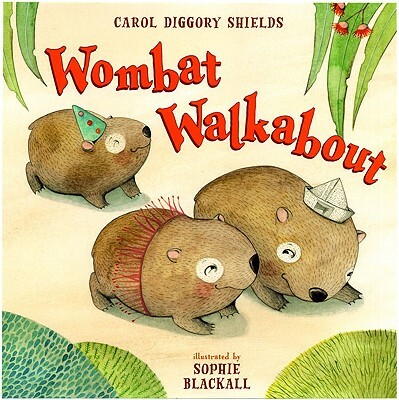 Wombats excepted. Ugh. I was pleased to see that of the work displayed in Google images, for the most part she avoids putting figures on three-dimensional backgrounds which is a very very good thing, since she can't handle perspective at all. Of course that doesn't solve the problem of her utter incompetence with human bodies. She cannot draw people mouth kissing at all. Arms are another serious problem for Blackall - look how the man's arms must be more than twice as long as the woman's in the picture on the right - her entire arm is about as long as his upper arm alone. The casual viewer might not notice these issues, but instead is left with a slightly queasy feeling of something not being right. So while some are worse than others, virtually all of Blackall's illustrations give me at least a slightly queasy feeling. The only drawing I've found by her that I could say I sort of like is this book cover. It uses a limited palette of solid, vibrant colors instead of an excess of fussy washed-out pastel shades. It is a flat layout - no perspective to screw up. Good composition - but somebody else probably handled the design work, placing the type at the bottom to balance the yellow graphic accent at the top. 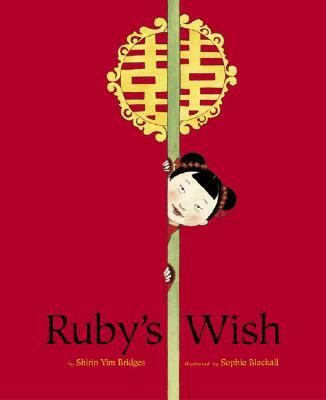 If Blackall stuck with illustrating children's picture books about Chinese culture she'd be doing the world a big favor.